Mask Your Dull Skin with SK-II. If your skin is suffering this winter through the dry heat and colder climates, try a mask for some much needed hydration. SK-II makes some wonderful masks that are simple to use. All you have to do is select the right one for your skin. To get the most out of your mask, try one of my tips. Trust me, I am using a mask at least once a week now and have learned how to make it work for my dull skin. For extra hydration, warm the mask by placing the packet under running hot water for a couple of minutes prior to opening. The warmth increases the hydration. To reduce puffiness and generate an extra-refreshing feel, chill the mask in the freezer for a few minutes before applying to the skin. Though I really like doing this only in the summer, if you really need some firming, this is the way to go. Target two prime wrinkle concerns with one mask - use an eye mask under your eyes for five minutes, then flip it over and apply the same to the laugh lines near your mouth. These masks work really well and are even seen backstage at New York Fashion Week (which just so happens to start today). Celebrity makeup artist Pat McGrath loves using these masks to prep models' skin backstage before shows, prior to applying their makeup. 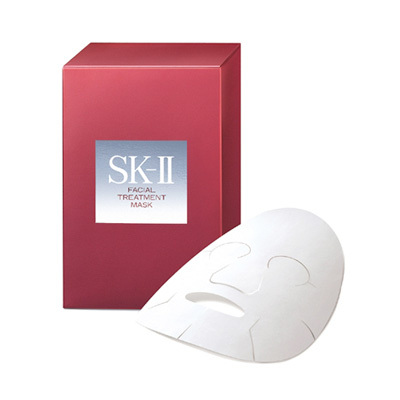 You can purchase these masks online through shop.sk-ii.com. Spring 2012: Clarins Colour Breeze.